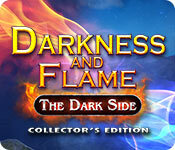 Darkness and Flame: The Dark Side Collector's Edition is rated 4.5 out of 5 by 47. Rated 5 out of 5 by bunnydog from Great game! Thanks to the team who created this great game. Love everything about it: artwork, story, characters, voice acting, puzzles, etc. Hope another in the series is in the works! Rated 5 out of 5 by crisgori from Five BN Games are the best Another gem of these great Devs, the only ones I like to buy from by now. Perfect game. Rated 5 out of 5 by dmaxc1024 from Another Great Chapter I'm a fan of this series and was not disappointed with this one. I felt the storyline was very good and kept you wanting to move on to the next challenge. This seems like a small issue but it was so refreshing to carry a tool for a long time. In the beginning Alice finds a knife and it stays with her through most of the game and what a concept to not have to search for a cutting tool umpteen times. There are some surprizing developments at the last part of the game which will leave you saying "I didn't see that coming'" I feel any fan of this series will love this one too and look forward to the next adventure. Rated 5 out of 5 by ipprocessdoc from Definitely buy this game I am usually pretty critical of games since most of them these days are loaded with mini-games that are way too easy and HOPs that are only challenging to a 3rd grader. This is not one of those games. 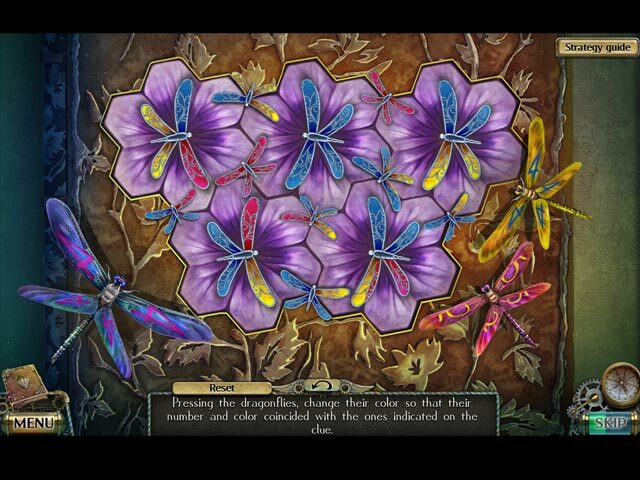 Some of the mini-games are still pretty easy but there are enough of the more difficult ones to offset those. Te HOPs are varied with some being very basic and some not. I was not disappointed. Enjoy!! Rated 5 out of 5 by WPLUBEGIRL from Did the fox have to die? This game rates a 5 star plus!!!!! Top notch graphics and superb voice overs. Now this is how games should be done. Even though I'm not big into fantasy type story lines the quality of this game made me love it. I highly recommend this game. Rated 5 out of 5 by freija66 from One of the best saga's I love this saga. Every one of these 3 games that belongs to it, are very well put one afer another so that storyline is intact. Being though part of one of the 3 games, they are independent games but same time they have continue from every one of them, and also there are some feedback from earlier part of the saga. I'd say I love this saga, can't wait the next part to it. These are rare gem games that will be played all over again and never get tired of them. Rated 5 out of 5 by Italia47 from A High Five for FIVE-BN GAMES! Pretty much everything about this game was snap-on! The storyline was very suspenseful and intriguing.The voiceovers and the characters were awesome! The special effects and the sound effects were realistic, so much so I felt I was right there with the characters as they ventured through rocks and water and wilderness, and the darkness. I thought the music was very nice--not at all overwhelming. There are 8 tunes and you can download them if you wish. The graphics were crisp and bright and the attention to detail was amazing. The gameplay was smooth--great flow throughout both the main and bonus games. This was a definite buy for me from the get-go. Now there was one word in the script that may or may not have been a misspelled word or may not have been grammatically incorrect but it just stood out like a sore thumb to me as follows: "This creature looking like a giant spider, covers with web and immediately 'paralyses' its victims." Paralyze is preferred in the U.S. and Canada, while paralyse is preferred outside North America. I think this game really rocks! Intelligent storyline and the flow was exactly what I look for in a good game--a game which was a sheer pleasure to play. I enjoyed making the potion in the bonus game. And I'll tell you some of the puzzles and mini-games throughout the main and bonus games were challenging, interesting, and varied. Lots of collectibles spilling over into the bonus game as well. I collected all the collectibles but only got 28 out of the 30 morphing objects. Dang! I would have liked to have gone back after the completion of the game to find the other two, but you don't have the option to do that. No matter; it was still a great game. I'm very impressed with these developers. I'm going to keep my eye on them for sure! I highly recommend this game. 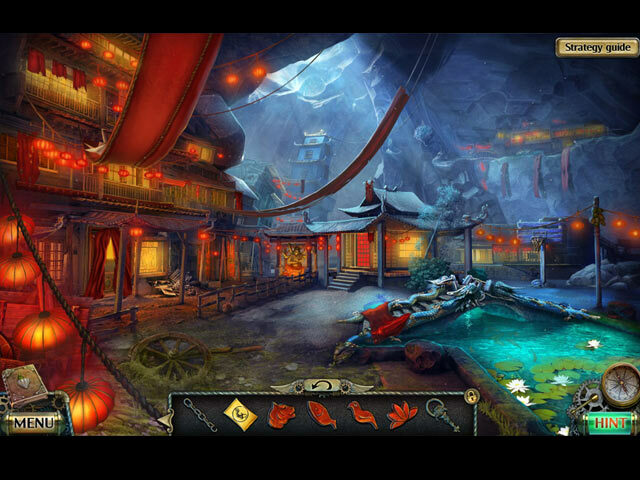 Rated 5 out of 5 by wild_irish_rose from Darkness and Flame: The Dark Side CE Fun Factor: Played for hours. Visual/Sound Quality: Graphics were magnificent. Characters and speech were actually synced. Background music fitted the moment you were in and it was well written. Level of Challenges: From the HO's to the puzzle challenges were well designed. Storyline: The plot was brilliant. Even the bonus game was great. I very rarely give a game 5 Stars but this one deserves it. I hope to see more stories in this series. It was worth the 13.99 and I recommend you buy it. 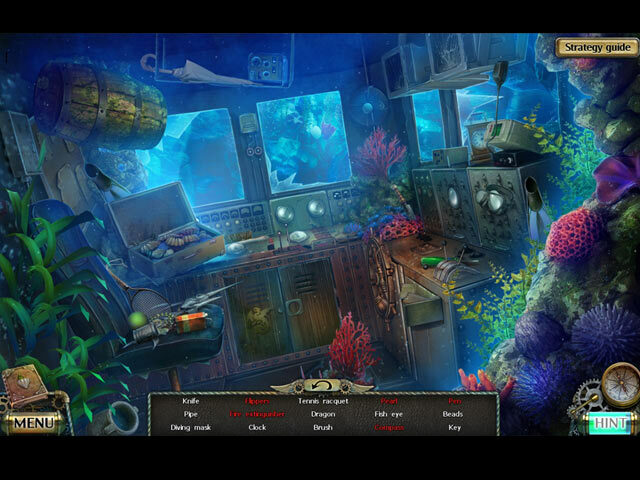 Rated 5 out of 5 by Vickie258 from EXCELLENT GAME! Good story and graphics. Highly recommended.